When you would like to refresh your home and make the space healthier for you and your family, you can hire a professional housekeeper in Washington DC from Brite-Maids Group. 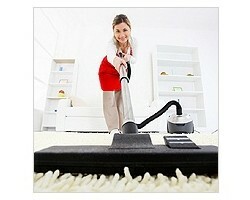 This company has been offering complete house cleaning services for over 27 years. This experience means that they only hire the maids that will be able to uphold the high cleaning standards of the entire company. This team is available for regular cleanings or for intensive moving cleanings to make sure you are leaving and getting into a fresh house. Mint Conditioning Cleaning Services is a company that you can count on to tackle the toughest jobs head on. These experts will not just empty the trashcans and wipe the counters. 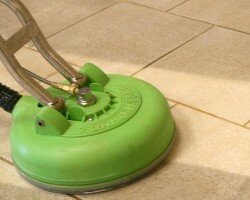 They will clean the floorboards, the outside of the windows, the grout and so much more. Though this company is most well known as a local house cleaning service they also offer cleanings for professional spaces too. As an office cleaning service, this company will make sure the space is not only fresh for you but pristine for any guests you may have. Maids DC is one of the easiest Washington DC cleaning services to work with when you consider they provide all of their own cleaning supplies, they offer online scheduling and total customer satisfaction. Reviews of the company rave about this combination of customer care and flawless work provided by each of the cleaners. You will never have to sign a contract and will always be sent the same cleaner upon request to make your life even easier as you only pay for the work you receive from a cleaner you can trust. Everclean Maid Service is a residential cleaning company that has specific services for you to choose from. You can opt for thorough bathroom cleanings, regularly scheduled maid services or spring-cleaning. This company is completely focused on providing thorough and affordable residential services in DC so they do not offer a commercial cleaning service at all. This means that you will only be sent a cleaner that has experience cleaning the homes rather than having a professional that is more specialized in other areas. Fast Maid is the maid service in Washington DC that you should hire when you need a little extra help keeping your home clean. For relatively cheap prices you can hire a professional to come on a regular or one-time basis, to make your living space the cleanest it has ever been. One of the best things about hiring the services of this company is that they are always offering special deals and discounts to new and existing customers alike.